Joomla 3.4 with awesome new features. Coming soon! You are here: HomeJoomla TemplatesNews & UpdatesJoomla 3.4 with awesome new features. Coming soon! Following on the success of Joomla 3.3, Joomla! Development team has revealed Joomla 3.4 release timeline updated in which Joomla 3.4 beta will be released on January 27th 2015. The 3.4 is expected to be the best Joomla version ever with great new features it brings. 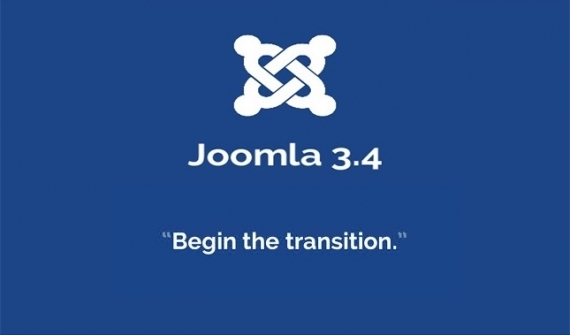 Although Joomla 3.4, the big release of Joomla were planned to be released on July, 2014, this version has not been out because the release date depends on availability of volunteers as well as plenty of bugfixing work slow down the project. And now, Joomla! Development team is ready to get back. In this version, Joomla 3.4 promises a great version with new improvements, beautiful textures, user-friendly interface. Especially, this release will be lighter than the previous versions, while still ensure to be a feature-rich one to better server Joomla users. Microdata is a way of adding contextual information to your website and its contents, allowing search engines to better understand the information you provide them with. The 3.2 release introduced the JMicrodata library, and the 3.3 release introduced microdata elements into two of the core component's layouts. For 3.4, Joomla Development Team aims to continue refining the JMicrodata library to ensure it is flexible and easy to use for users of all skill levels and continue implementing microdata elements into core layouts. In the 3.2 release, Joomla users can be possible to modify module settings when logging in at the front-end with one click on the small "edit" icon placed on every module without requiring access to the administrator area.. Continuing on this effort, Joomla 3.4 will be included module editing from the front-end based on the standard Joomla ACL Settings, which will be easier for beginners. The 3.4 release aims to integrate Composer into the CMS for managing external dependencies such as the Joomla! Framework, PHPMailer and 3rd party libraries. At present, the Joomla! CMS is a single monolithic package in which everything must be installed and retained. Removing optional core extensions, such as unused templates or components, unfortunately causes updates to fail. In the 3.4 release, com_weblinks and all associated modules and plugins will be removed from the Joomla installation package. This is a great first step in making Joomla more user-friendly and making the package lighter. These extensions would be maintained on GitHub and listed in a JED category. So, if you still want to use these removed components, you can easily get them and install as usual. Nightly builds of the 3.4-dev branch from GitHub will be made available. That package is available at http://developer.joomla.org/cms-packages. Keep in mind that the beta releases are available for testing purposes only. We do not recommend to install beta versions in real production environment. If you'd like to discover new features in this version, just try it on your beta site and don't forget to share us your feelings or distribute your comments to Joomla! Community Development Manager, David Hurley. We'll share you useful information about these releases as soon as we get the news, so please keep following us to receive the latest news.